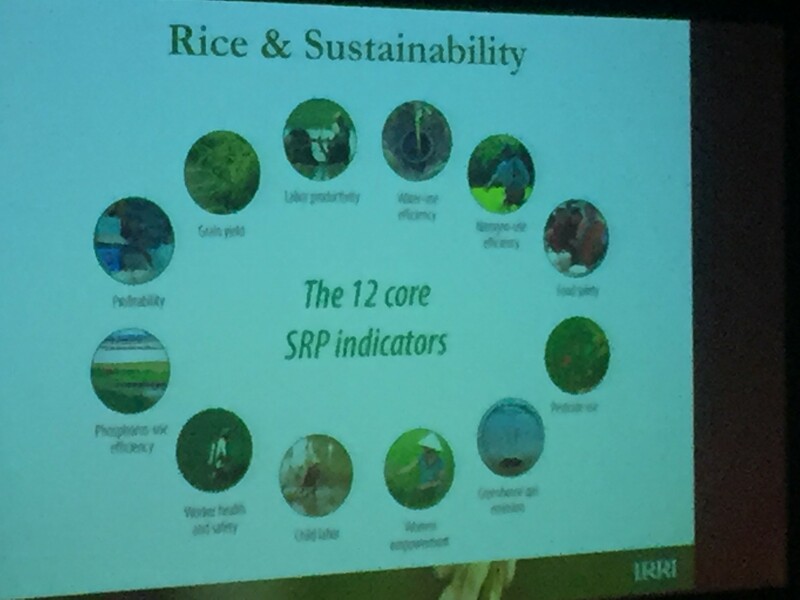 The Fund was able to attract some attention to global rice issues during the recent visit to Australia by Dr Matthew Morell, Director General of the International Rice Research Institute (IRRI). 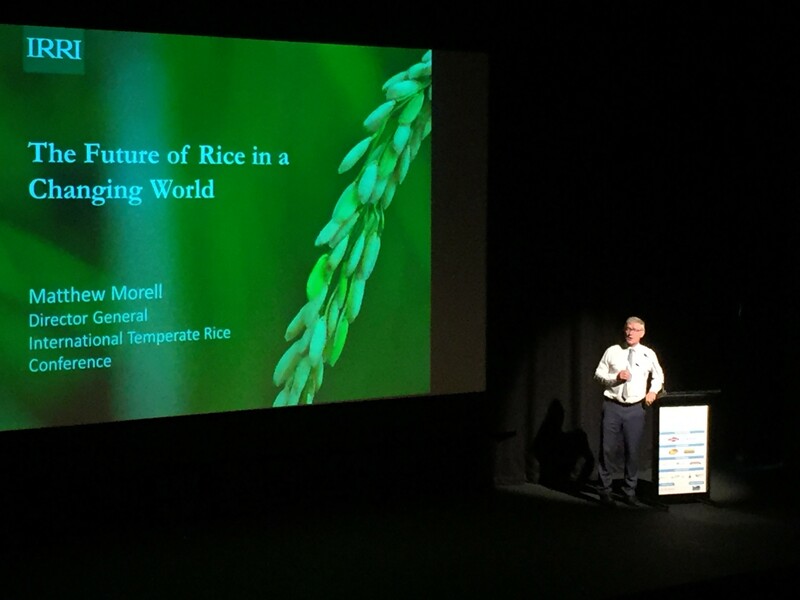 Dr Morell was the keynote speaker on 7 March at the 2017 International Temperate Rice Conference which brought the issue of sustainability to the forefront in a conference program under the theme ‘Tradition, Technology, Productivity—A Balancing Act’. 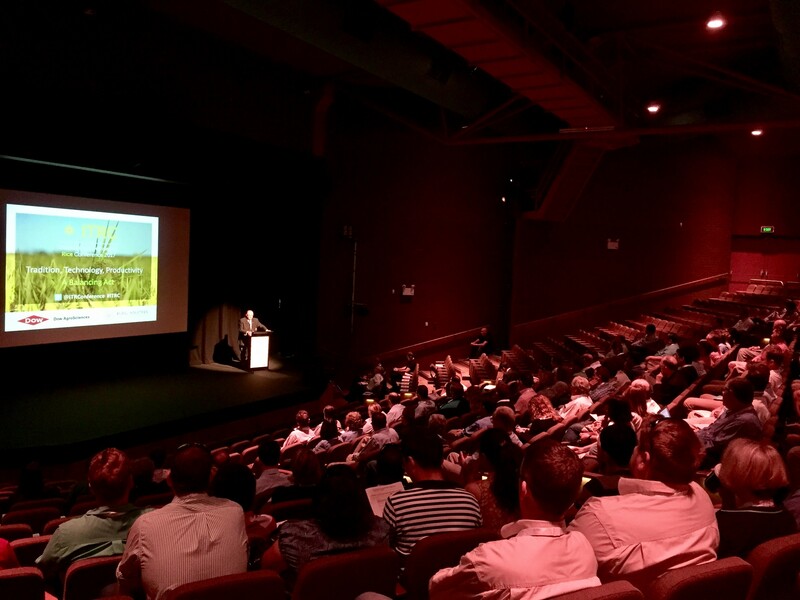 The conference was returning to Australia for the first time in over twenty years and highlighted the latest research, technology and innovation in temperate rice production from industry experts, with a particular focus on sustainability, water efficiency and productivity. 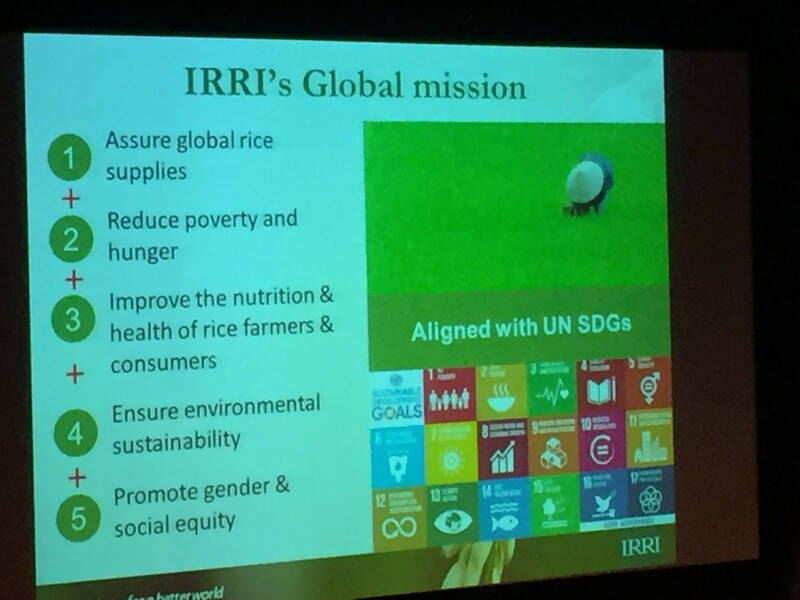 In his keynote address, Dr Morell discussed how rice science is contributing to sustainable development goals, highlighting the need for agencies like IRRI to continually evolve to meet the challenges of the next 25 years. 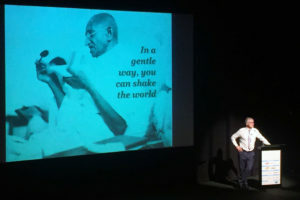 He supported the Fund’s recent statements around the nexus between food security and peace. 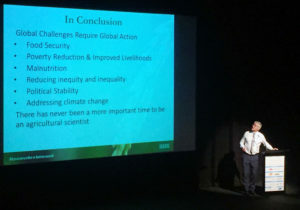 “Australia has an opportunity to contribute to regional security through food,” said Dr Morell in his keynote address at the Conference. 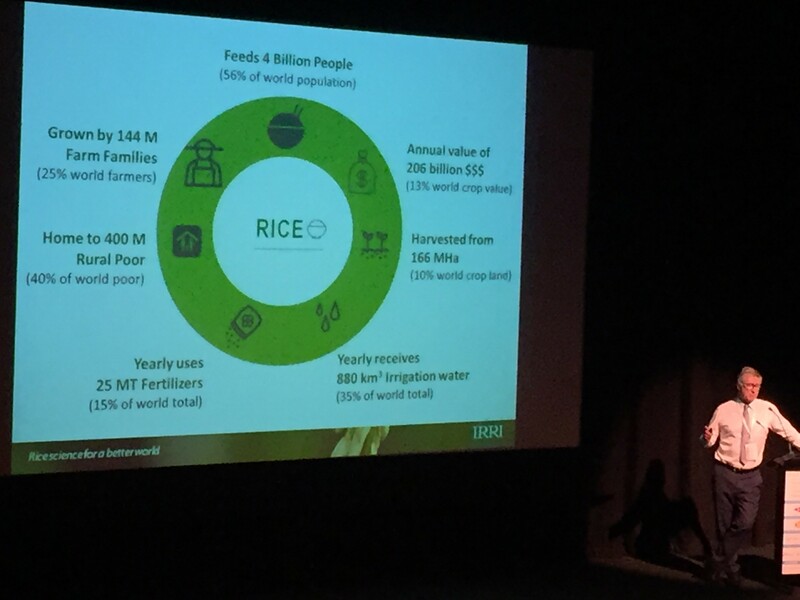 Dr Morell went on to explain that as global demand for rice grows significantly over the next 25 years alongside global population, the world will be challenged to produce about 25 per cent more rice with fewer inputs of land, water, and labour than we have today. With 87 per cent of the world’s rice consumed in the region, potential instability in rice production and pricing could pose risks to consumer food security and farmer’s incomes, creating a challenging situation for many of the region’s lower socio-economic communities. “Today, we have the science and technology to develop high-yield rice that is stress-tolerant and more resilient that still meets nutrition and quality standards,” said Dr Morell. “The research and stewardship of Australia’s rice sector has contributed significantly to a stable and prosperous industry.